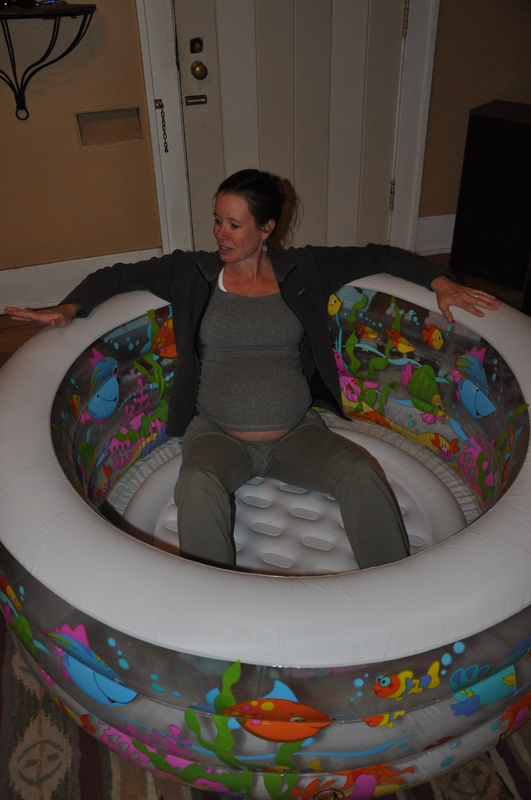 Our birthing tub has arrived! We had a trial run to set up earlier this week. Took all of 15 minutes to inflate it, using the little electric fan. We’ll fill it up with a hose that runs from our kitchen sink; the hose can be used to fill it and drain it, which helps maintain the optimum temperature. Of course, the front door will not be open when I am in labor. And I think we’re going to put the tub in the corner of the living room (in the photo above: where the black chair, guitar and banjo are in top right), rather than right smack in the middle. 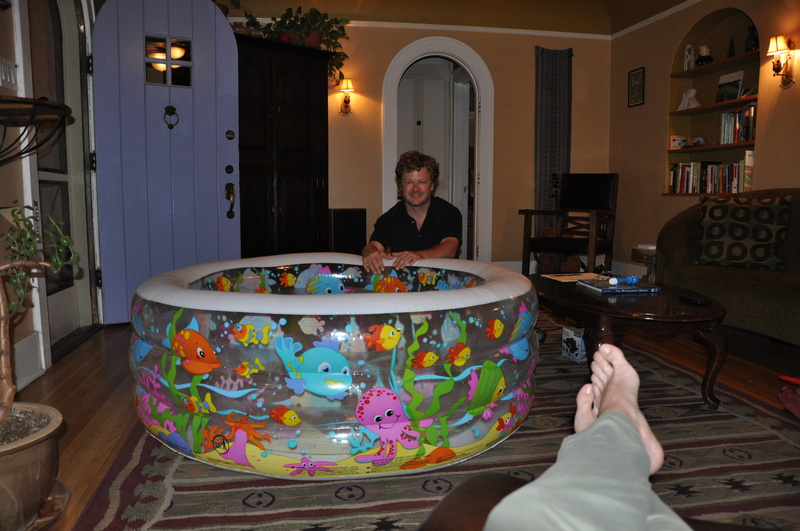 Me in our birthing tub! 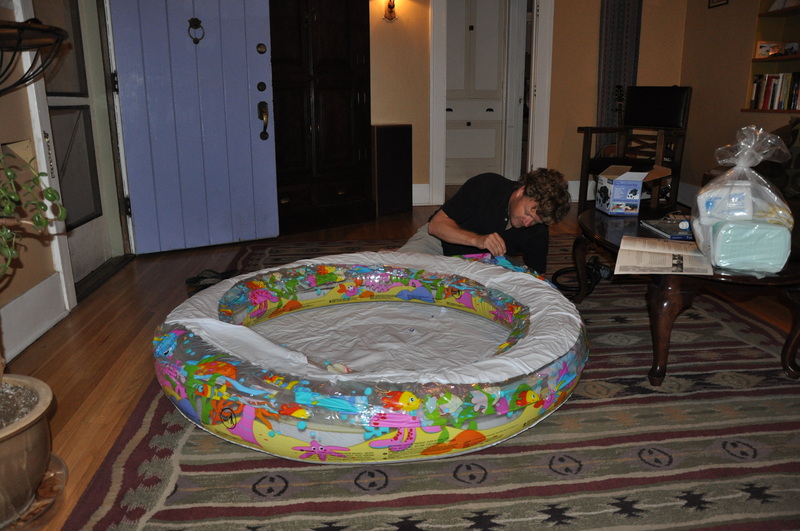 After Bean is born in this tub, he/she will have their own special kiddie pool! 1 Response to Birthing Tub! very cool…. looks comfortable and just the right size… i still cant believe its actually almost here.